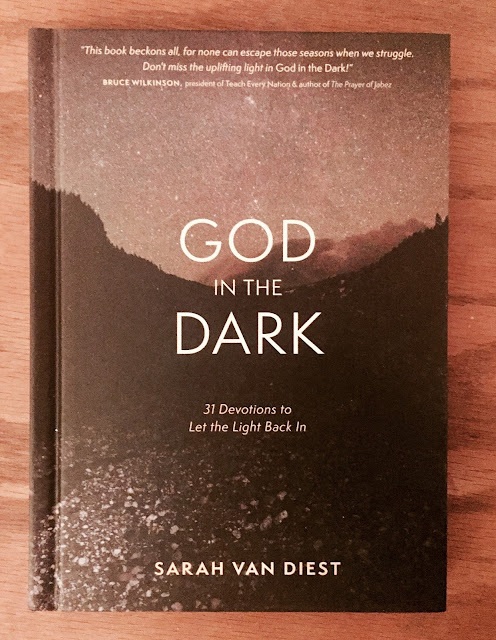 My Thoughts: I was so happy when the publisher offered me God in the Dark to review, since I'm always watching out for a new devotional. This book is short, has easy to read large print with a good contrast, which along with a hardcover already made this book have a good start. I love the combination of a bible verse and the small essay to go with it. A very inspiring pair!